Getting the MAX from your Instagram Account with these 5 easy steps! I absolutely love Instagram… sometimes more than any other social platform. Mostly because it is a visual content platform without all the text or “ad” looking content. It is all photos or video! Even the ads don’t look like ads. It has also been a ton of fun playing with my dogs account and I was blown away by how many other pet accounts there actually were! Even my daughter had one for all of her guinea pigs and she found those connections to be extremely helpful when we ended up with a pregnant piggie – eek (or should I say wheek) LOL She found a few breeders who helped us the entire way through the pregnancy and birth which was very helpful. OK, back to real estate on Instagram. Check out these 5 easy steps to get you started (or enhance what you already have) on Instagram! The Instagram feed moves very quickly so unlike YouTube or Pinterest, the lifetime of a post is relatively short so standing out is important. Easy post to Instagram & your business page straight from your IG account. Allows you to connect to your personal Facebook account for auto posting to facebook when you post to Instagram. Downfalls – No ads or insights. Write a short Bio, add some flare with a little emoji’s as well as your main #hashtag and tag a company.. like Realtor @remaxelitefl or if you have a personal and business, make sure to tag them. Instagram is a visual platform like twitter is a 280 character platform… posting great images along with #hashtags for your branding, area, etc can lead to great engagement and leads. Here are some fun ways to post your visuals… Don’t forget, Instagram has some great filters to make even the ugly pictures beautiful. Gain more eyeballs by utilizing the “stories” feature and even better, highlight and organize those highlights which will appear in your profile!! Check out this blog with Katie Lance on creating great stories and check out some fun tips on creating the perfect image templates for them too! Step 4: Use #hashtags with your posts. I keep a few lists saved on my phones “memo pad” for easy copy & pasting… Also, if I am posting to facebook from Instagram I will not add the hashtags with the original post, I go back and edit to add my #hashtags. Step 5: Add the location of your photos or business, always. Studies have proven that tagging a location can increase engagement by up to 79%. Instagram isn’t just a social platform, it is a search engine too. People can search by their current location or landmark so be sure to include this when posting! theboutiquere – I absolutely love the photos and simplicity of there account… if you do higher end listings, check this out. katrinaandtheteam – I love the graphics and style of this team and what they are posting. laughing_realtor – If you like lighter side of real estate, you will love this account. Using fun apps on your phone to create visual and text overlays are even better for your IG posts! Here are some great ideas for posts.. Neighborhood pix or even better – VIDEOS! Now that you are ready to take your IG account to the MAX, Don’t forget to follow us! Make sure your About section on your personal account AND Business Page are completely set up with your Bio and information including your website! Make sure your personal account has your Business Page linked in your About Me section too! Set up your custom audiences using the Business Ad Manager to easily “Boost” posts on your Business Page! My setting up specific audiences it will be easy to target exactly who you want when paying for ads without going into your Ad Manager everytime. Setting up your “Friends List” is the best way to make Facebook work for you! I have local businesses set up as “Brevard News List” which allows me to ONLY see posts in my newsfeed from the pages I have added into this list. This reduces all the noise on facebook and allows me to easily find the content I need! By setting up a Prospects, Sphere, Past Client list it will allow you to easily engage and be social with those you need to! Working Smarter, NOT harder! Complete Campaigns for Every New Listing: Your New Marketing Edge! 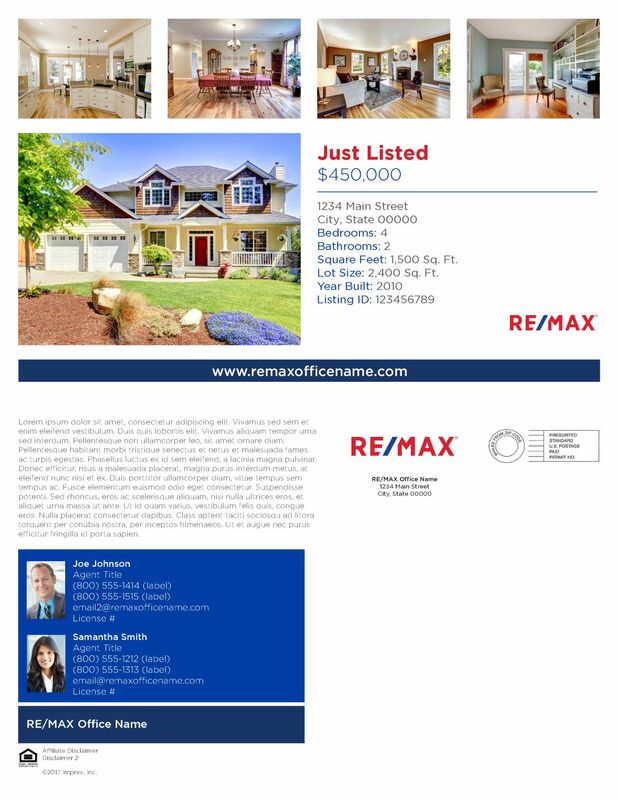 The RE/MAX Design Center now automatically generates marketing materials for each listing within 48 hours of the MLS being updated. The complete campaign will be delivered straight to your inbox at no cost to you. This service is available at no additional cost to RE/MAX Elite Affiliates. It’s a simple, turn-key marketing service – saving you time and money while increasing visibility to listings and driving referrals and repeat business. 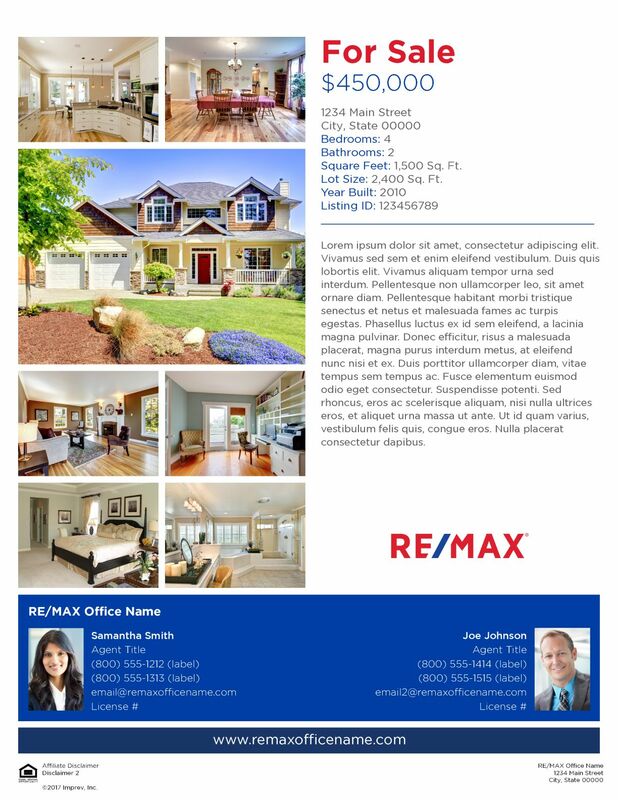 Four different campaigns are available to market the various events during the life of your listings – just listed, open house, price reduced and just sold. Within 24 to 48 hours of the MLS being created or updated, you’ll receive an email communication for each of these events with pre-customized materials within the email that you can use immediately such as listing flyers, postcards, virtual tours, a brochure, social posts, ePostcards, listing videos, and single property websites. 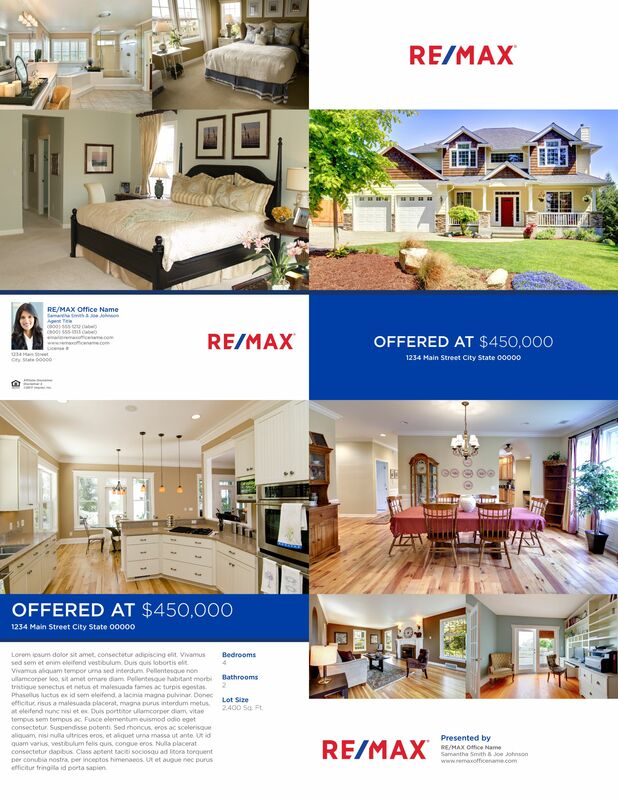 You’ll also have the power to edit the marketing materials, if needed, on the RE/MAX Design Center. 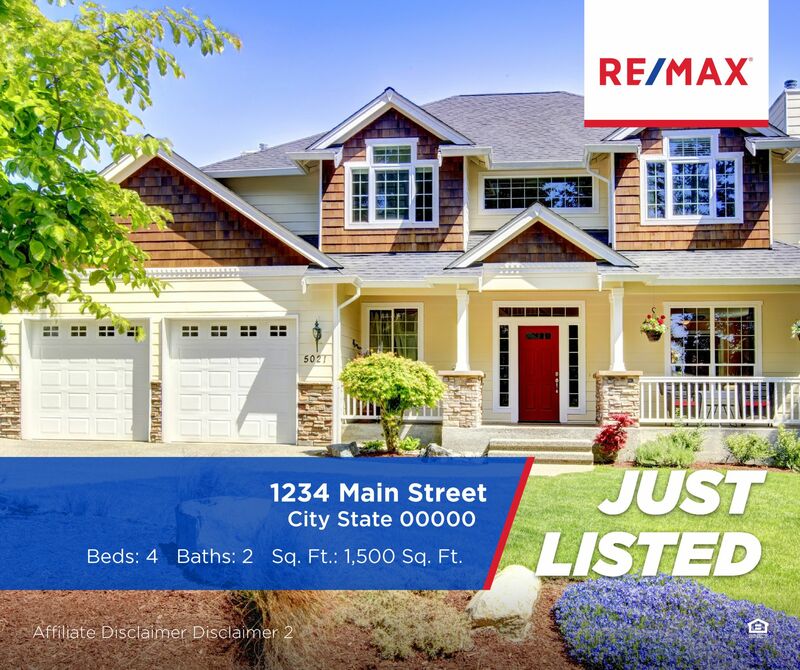 A new listing is added into the MLS, an open house is scheduled, a listings price is reduced or a listing is marked as pending. Within 24 to 48 hours, you will receive an email with a full marketing package for your listing. If no editing is needed, you can begin marketing or sending files to your printer. If you would like to edit the materials, you can log into the Design Center on MAX/Center, click on the Listings tab and find the listing you would like to edit to begin using immediately. Changes at the MLS when new Listing & Open House information is added, and also when a listing price is reduced or a listing is taken off market. These changes with the MLS will update your listing in LeadStreet and then create the listing package in Design Center. It can take up to 24-48 hours for this process. You will receive an email with a link to these projects for you to view in Design Center. If you enter your listing prior to uploading your professional photos, go into your Design Center Projects and delete the ENTIRE project after the new photos are in the MLS. The system will regenerate a new listing email with new projects. These projects are gathering data from the MLS, professional /hi res photos will look best for all projects. You can easily edit any project that is emailed to you or create your own project, all of the photos & MLS data are in your Design Center account so most projects are as easy as 1, 2,3! New FREC Advertising Rules and what it means for you! Something to note, even though this is geared more towards Teams, we anticipate this rule being across the board for advertising from Team or Individual Agents. (1) “Team or group advertising” shall mean a name or logo used by one or more real estate licensees who represent themselves to the public as a team or group. The team or group must perform licensed activities under the supervision of the same broker or brokerage. (2) Each team or group shall file with the broker a designated licensee to be responsible for ensuring that the advertising is in compliance with chapter 475, Florida Statutes, and division 61J2, Florida Administrative Code. (3) At least once monthly, the registered broker must maintain a current written record of each team’s or group’s members. (5) This rule applies to all advertising. (6) In advertisements containing the team or group name shall not be larger print than the name of the registered brokerage. All advertising must be in a manner in which reasonable persons would know they are dealing with a team or group. (7) All advertisements must comply with these requirements no later than July 1, 2019. Nothing in this rule shall relieve the broker of their legal obligations under chapter 475, Florida Statutes, and division 61J2, Florida Administrative Code. Rulemaking Authority 475.05, 475.25(1)(c) FS. Law Implemented 475.25 FS. History–New 6-18-18. The team ad regulation, 61J2-10.026 Team or Group Advertising, is posted on Florida Realtors’ website. The rule impacts office procedures and team advertising. In some cases, changes could take time to complete; however, brokers and their teams have until July 1, 2019, to comply. Florida Realtors Law & Policy department suggests that impacted members begin reviewing the regulation. Questions? Email LegalNews@floridarealtors.org Attorneys will review your questions, discuss issues with FREC if appropriate and provide member updates shortly. Here 4 quick things to think about as we get ready for this new rule. 1.As you are designing logos and marketing, think of where the RE/MAX Elite logo will be placed..along side your branding. We have several logos to choose from to make this easier for you or feel free to get with Heather for some brainstorming sessions. 2. Website – If you are using a website other than the RE/MAX SPAW website, is the office name/logo alongside your name, logo or branding? 3. Advertising Images – Any images you post to social media or advertising that has your Name or Logo needs to have the Office name or logo as well. Currently the only requirement is that the Brokerage name be on the image but if these rules get passed, the Brokerage name will need to follow these new rules and be as prominate as your branding. 4. Social Media – In your Bio/About you should list the Brokerage name. (1) All advertising must be in a manner in which reasonable persons would know they are dealing with a real estate licensee. All real estate advertisements must include the licensed name of the brokerage firm. No real estate advertisement placed or caused to be placed by a licensee shall be fraudulent, false, deceptive or misleading. (2) When the licensee’s personal name appears in the advertisement, at the very least the licensee’s last name must be used in the manner in which it is registered with the Commission. address(es), telephone number(s) or facsimile telephone number(s). (b) The remaining requirements of subsections (1) and (2) apply to advertising on a site on the Internet. Amended 2-17-81, 3-14-85, Formerly 21V-10.25, Amended 12-29-91, 7-20-93, Formerly 21V-10.025, Amended 4-18-99, 7-4-06, 2-5-07. It’s that time of year again! The time when we celebrate the best of social media, examine the bad, and just plain cringe at the worst. Back for a fourth year, this is my most popular webinar, and the most fun. All examples are real, all identities are blurred out (mostly) and all lessons are delivered with love. Mark your calendars and join me here, LIVE, for the annual Good, Bad & Ugly of Real Estate marketing. NEW RE/MAX Design Center Projects for 2017! We have new designs…. AND… we will receive 8 designs versus the previous 5! You Tube Video (we will publish for you if we have your Design Center login)! Don’t forget, all of your listing data & images are pulled over to the Design Center making it easy to edit these designs AND create others! Here are a couple other designs that are new to the RE/MAX Design Center! No worries, we have your back! We have hands on training OR get with Heather for your one on one coaching session!